Sometimes showing grace to others is easy. The person in need of grace is someone we like, someone who is naturally sweet, someone who’s normally very easy to get along with. Sometimes, though, extending grace is a challenge. Some folks are difficult, demanding, and inconsiderate. Some take advantage of others. Some are disagreeable. Some cut us off in traffic. Some are just plain rude. They don’t deserve grace, we may think to ourselves. But, then again, neither do we. It is not something we’ve earned. It’s not something we deserve. He gives it freely, because he loves us deeply. In turn, God expects us to demonstrate that same grace in our dealings with others. And that includes those cranky, cantankerous, “undeserving” types, too. Often, they’re the ones who need it the most. We need to demonstrate grace to the “undeserving” or unappreciative, not only for their benefit and blessing, but our own, as well. But how do we go about it? How do we extend grace when doing so may be completely out of sync with our natural reaction in a given situation? “Let everything be done in love.” (1 Corinthians 16:14) Love is our standard. It is patient, kind, and longsuffering. (1 Corinthians 13) We should love, because God first loved us. (1 John 4:19). Love and grace are inseparable. But showing grace to others does not mean we must sweep problems under the carpet and pretend they don’t exist. Wrongful behavior needs to be addressed, and it may sometimes fall on us to do it (especially for those of us who are mothers with young children still at home). Yet in the midst of addressing such difficulties, we must pray for wisdom, then speak the truth in love (Ephesians 4:15) with sincere humility. This is the path grace marks out for us — even when dealing with the most difficult cases — and it is our best hope for resolving conflicts in a way that honors God by communicating His love and grace to those around us. This article was originally published at Laundry Moms as part of their ongoing study, 31 Days of Grace. I encourage you to check out the entire series… and be blessed. Thank you so much for alerting me to that typo, Egle. I always appreciate good proofreading! I’ve corrected it now. I hope you have a blessed day! Thank you for this gentle reminder! It is so easy to extend grace to those we love, not so easy to extend it to those who don’t particularly love us! But I love how you stated that they are the ones who need it the most. 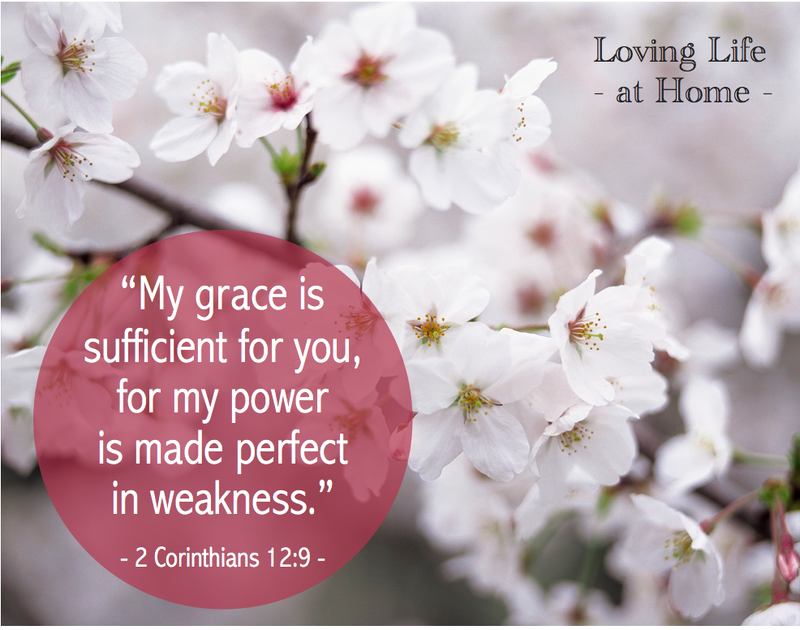 Grace – what a beautiful word! I really needed this and I’m happy to have taken out the time to read it thoroughly. I struggle many times with grace. I have loved ones that have the ability to do things and they either don’t want to hold a job or they find ways to manipulate. Please pray for my strength in God as I follow His path.